Classic toys are classic for a reason. They're perfect and should never be changed, upgraded or modified at all, save for some colors and illustrations perhaps. But these days, you'd think if something doesn't come with batteries that need to be changed every four hours, kids just won't play with them. Sure some classics have actually improved with technology. Electronic Battleship. Tickle-Me Elmo. Even Teddy Ruxpin. These all tied sounds or movements in with the originals to actually improve upon a classic. Unfortunately, just slapping on some electronic lights and sounds isn't a surefire formula for success. Need proof? Just take a look at this list of 7 classic toys and games that were made worse by the addition of technology. This one's the board games to end all board games. Yes, there've been umpteen million themes of the game (from Star Wars to the New York Yankees), but at its core, this game is about buying properties, doling out cash, and learning just what a mortgage is. 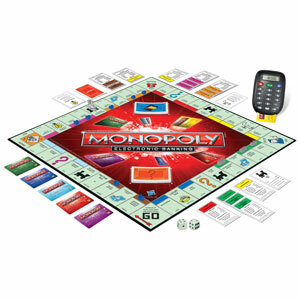 Hasbro's Monopoly Electronic Banking ($32.99 ) removes the most important part of the game: the money! Instead, players use a credit card and an electronic machine to check their balance. Goodbye math skills. Instead get the original Monopoly ($24.99 on Amazon.com) we all grew up with. It's been around for decades. It starred in dog form in all three Toy Story movies. It's the classic metal Slinky toy that literally crawls down the stairs. This toy's brilliance lies in its simplicity. But somewhere along the line, somebody decided to make a cheap plastic version (which tangles up way easier than the metal version). What's worse, the Light Up Slinky ($9.99 ) takes the plastic version one step further by adding a lame flashing light which goes off as the Slinky moves from step to step. Kids end up just shaking the thing to make it light up, pretty much defeating the sole purpose of a Slinky. 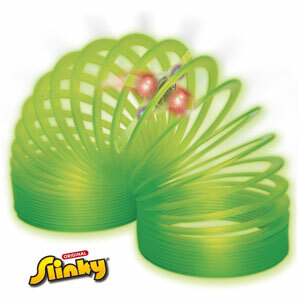 We prefer a standard Slinky ($5.99 on Amazon.com). Is the Magic 8 Ball the spookiest and coolest toy ever? "Signs point to yes." You remember this one. A plastic 8 Ball with some mysterious blue goo inside. You ask a question, shake the ball, and the cube inside will turn and end up on one of a dozen or so sayings. Thanks to technology, you now just press a button and hear various phrases shouted back at you. Where's the fun in that? 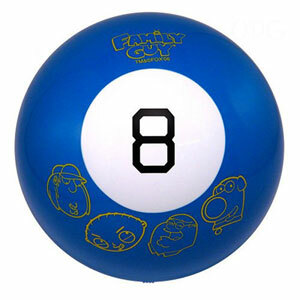 What's worse, they've themed talking 8 Balls around various pop-culture properties like the Family Guy ($19.99) or Hoops and Yoyo ($12.99 ). Should you buy the original Magic 8 Ball ($9.99 on Amazon.com) instead? "It is absolutely certain." Next to Pac-Man, big hair, and Bubble-Yum, nothing sums up the '80s better than the classic Rubik's Cube ($12.99 on Amazon.com). For those who forgot, this six-sided cube has nine colored squares on each side, and by turning the cube, you try to make a solid color on each side. Crazy impossible, there were countless strategy books created and even speed tournaments to see who could turn that cube fastest to solve it. The easiest way to ruin that fun? 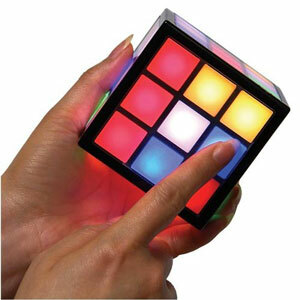 Just look at the Rubik's TouchCube ($89.89 ) which uses motion-detection to let you "slide" colors from one square to the next. There's even a hint mode so you won't need to cheat and peel off the stickers on each square to solve it. 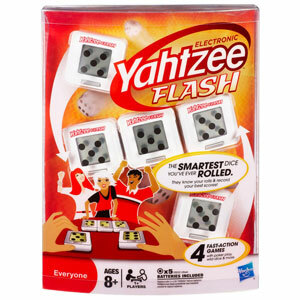 This classic card game is great with a crowd of four or more players. You simply match colors or a number and try to get rid of all the cards in your hand, being sure to remember to shout, "Uno!" when you're down to just one card. Wild cards and various penalty cards (Draw 2, Skip, Reverse) keep the game exciting. Quick, easy and fun. So how do you toss all of that out the window? 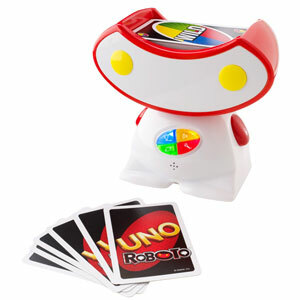 Apparently you add a robot who shouts out random rules, and call the game Uno Roboto ($31.99 ). Hello, batteries. Adios, fun. Go with the original Uno ($9.99 on Amazon.com). Um, you really can't get much simpler than Pictionary. ($26.99 on Hasbro.com). Draw a picture of a word or phrase and try to get your teammates to guess what it is. It's fun, silly, and very straightforward. 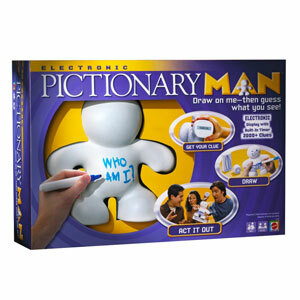 Enter Pictionary Man ($34.99 ) and ensue eye rolling. This unnecessary game features a little guy who displays your word or phrase on the bottom of his foot, then you draw all over his body with a marker. It's supposedly a mix of Pictionary and Charades. Which just begs one question: Why? Nothing is simple any more. Everything seems to have to be louder or flashier than the previous in order to grab the attention of the younger generations. Along with the technology has come much higher prices. So much, in fact, that I’ve started trying to make Papa’s versions of some toys—like Lincoln Logs and kindergarten blocks. What about using the calculator in elementary schools? That is a big pet peeve of mine. Love the old fashion games! “Shut the box” is one of my kid’s favorite. I dont understand why the great toys we had as kids have to be ruined by technology..dont get me wrong…i love technology…but these games didnt need any help because they were awesome just the way they were! What is hilarious is that you are saying how horrible all of these games are but adding your Amazon affiliate link just in case someone wants to buy them! LOLZ! Delightfully underhanded. I think it is time to unsubscribe to your emails. That wasn’t good editing on our part. We removed the links to the electronic versions and provided links to the original (and far less expensive) versions we recommend. Uh Oh! Will classic toys awards be morphing, too? To OOZ & OZ, winner of a 2011 Dr. Toy’s Best Classic Toys Award, any product, whatever its genesis, that adds electronics, should be ineligible for consideration in classic toy awards programs.